In the category of Things I Don't Need To Be Hoarding1, I have a metal container full of old thread spools and sewing needles that I picked up a couple of years ago at a yard sale. Because. It's time for this sewing paraphernalia to move on to another owner. But before it moves out, I wanted to record for posterity some of these really old spools (which is kind of why I bought the container in the first place). 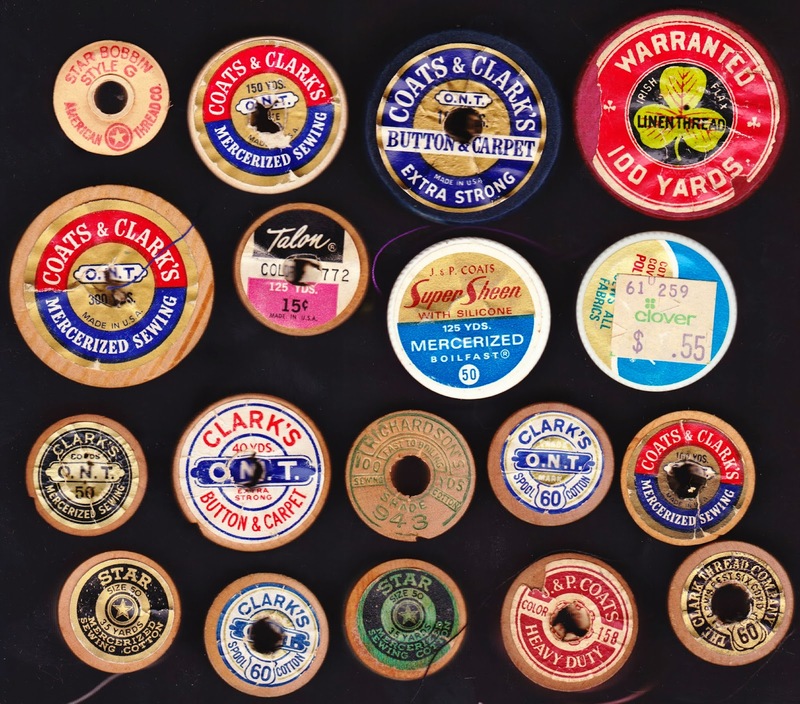 The spools are from American Thread Co., Coats & Clark's, Talon, Clark's O.N.T., Richardson's, and Star, among others. At least these were within a proper container. Back in January 2012, I posted about some embroidery thread, pins and more that I found buried inside an old geography book. 1. My wife thinks that many things I've brought into the house fall into this category. She is correct.